Food Blogging Traffic & Income Report for March 2018. Watch over my shoulder as I show you how to increase traffic and improve your income on your food blog. What I love about food blogging the most is the writing and the creating. I love to come up with new recipe ideas, I love to see them going from an idea to an actual blog post and I love to eat what we are creating. I am not ashamed to say that I have absolutely no passion for food photography whatsoever. Me and cameras just don’t go well together. I am the person that can get the angle of the photo perfect, then have a look at the photos (when I have downloaded them) to see that all the photos I have taken are out of focus. When I first got my digital camera, I didn’t even understand what focus meant and don’t get me started about manual settings, or all the other scary things that go with it. Plus add to this that I am partially sighted so can’t really tell what I am taking a picture of and then you know that me and food photography is a short-lived experience. Right now, my digital camera is in my husband Dominic’s hands and he is what I would call a newbie to digital photography, but he is learning and one day he will be AMAZING. Prior to getting our own digital camera late last year, we used to pay others to take photos for us and I am sure we are not alone with this. With the amount of hours that goes into running a food blog, my opinion is, that whatever you dislike doing the most you outsource. Therefore, if you currently spend hours on sharing your latest recipe to Facebook groups and HATE it, then outsource it. The same can be said for video production, photo editing, scheduling blog posts for you and so forth. Then focus on what you love the most, then it wont feel like your food blog business is turning into that boring job, that you wanted to escape from. Food Blogging: What Kind Of Actor Are You? I often think of food blogging like acting. It kind of falls into the following level of actors. Local Theatre Group = You just fancy adding the local theatre into your hobby list. It gives you something to do rather than just watching TV. You never expect to ever get paid for it, or seek out to earn a living, its just something you like to do. Low Income Local Actor = You Want to act, and you want to be the next big thing. The only problem is money isn’t very frequent and you need to top up your income with another job. But you know that one day you will make it! TV Star = You have made it onto TV. Acting is now your full-time job. You have quit your old regular job and are now a star. A small star, but still a star! Now you dream about making it big one day and wanting to achieve the next step up the career ladder. Movie Star = You are now well known and are known among the best in your field. When people see your name, they know who you are and what you have achieved. There will always be more local theatre group food bloggers and the majority will dream of becoming either a TV star or a Movie star. They want their passion to be turned into a long-term job that they can do instead of what they do now. 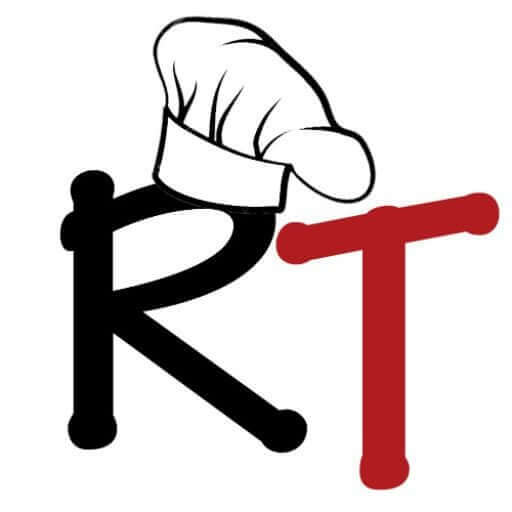 Right now, RecipeThis.com would fall under TV star. 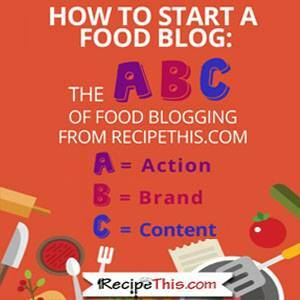 We earn a full-time income from our food blog. We earn enough to go on vacation if we want to. We earn enough to cover the cost of living and don’t feel like we need a second income to supplement our income. At the same time (like with a TV actor or a sports star) we need to use sponsorship to keep our income at a level it is at. We dream about being a movie star so that we don’t have to focus on sponsored work. But remember we all start at the bottom with the same opportunities and it’s up to each of us what we do with what is in front of us. This leads to a total food blogging income from Recipe This For March 2018 of $3295.55. Now it is rather scary when you see your expenses up there in black and white. I mean how on earth did they get that HUGE for just one month? Well it was just one of those months when everything needs paying and things went wrong, and we had extra things to pay for. I have been looking for an Adobe alternative for ages. I really don’t like adobe and unless you have a really powerful computer or laptop, it does have a habit of crashing. Plus, I am no graphics designer and want something simple and easy. Plus, Adobe always seemed over priced to me. So, we swapped our monthly fee to Adobe for In Pixio that like does everything I possibly need and loads more. The fee is $39.76 per year so it’s a huge saving. This meant that we paid a premium to have our site moved fast, plus the cost of the first months hosting, then as well as this paying hosting fees for our last month to the previous company. We also hired some extra virtual assistants in March to do some housekeeping for us on the blog. Those jobs that you always have on your to do list but never have the time to do. We went through our Pinterest group boards and deleted the ones that didn’t convert and joined some new ones. We put together a new strategy for sponsored content. We scheduled pins onto Tailwind that had slipped through the net or ones that needed doing to new groups we had joined. We did our own SEO audit. We improved the Facebook groups we are members on and stayed with the best traffic converters. This of course is just a small amount of things we did in March and it feels so good for these things to have been implemented. I have done a lot of sponsored content during the time that we have had RecipeThis.com. It has its ups and downs. You have the easy going client that pays straight away, that then sends you everything you need, then lets you get on with it. You have the other side of the coin, where you have the client that emails you for 3 months before anything is agreed and it takes forever and eats up too much into your time. Of course, I prefer the first type. They are easy, and they leave you to it. You can then focus on getting it done, promoting it and then moving onto the next one. But sadly, we can’t all have clients like that and sometimes you will wish that you don’t do sponsored content because of this. For me sponsored content is a stepping stone. When you start your food blog you often earn an income from freelancing. Maybe you are helping a fellow blogger start out or helping someone with their social media. Then you progress to selling sponsored content on your site. You might do 2-3 posts a month and then ones that have been nice to work with, you can then do more posts with them. Then as your food blog grows you can do less and less of them. I imagine within another year from now that we won’t be doing sponsored content anymore. Right now we are changing our strategy and have had a break from speaking to brands about working with them. But expect to be back to it soon! We got nearly 570,000-page views in February and as February is often the lowest traffic month of the year, we were expecting bigger and better things for March. As it happens we got just over 450,000-page views. You’re probably wondering what on earth went wrong? I mean if you look at the screenshot below you will see there was even some days when we didn’t even manage 10,000-page views a day. Well our worst nightmare happened = bad hosting. The host that we had been with this last year, suddenly didn’t work anymore. Our site loaded one day, then it didn’t the next, or it would load eventually after trying to load it several times. The first thing we did was contact the host and they told us it wasn’t them and it must be down to something else. Therefore, we went through all the plugins, made sure there wasn’t any conflicts. Convinced that it must be a plugin issue that needed solving. Then we contacted the host again = technician number #2 told us it was them and supposedly fixed it. Then it came back to for a few hours. Then the same again. Then we spoke to technician number #3 that was incredibly unhelpful and must be the worst experience of 13 years on the internet. He refused to help us and that same night we paid extra to have our VPS to be moved to another host straight away. We originally chose Liquid Web because it was popular in the blogging niche. But since our own problems we have read about others with similar horror stories. In the end we went 5 days with hosting issues and I dread to think how much traffic and how much money this has cost us. I would roughly estimate that our income was down by about $2000, especially if you add into this the cost of a hosting move and having to pay extra to get it moved as an emergency. We have moved to Genesis and their hosting called Studiopress sites package synthesis . I never even knew that they had their own hosting. So you learn something new every day! It is a much cheaper option that many hosts as it is made for bloggers by bloggers. You have your emails elsewhere and a lot of other things, making it much cheaper and faster. Plus, my favourite blogger Problogger is on it. And considering how much traffic he has, and he is happy with it, makes you think it must be really special. As usual there is not much of a change with our top 10 traffic sources. Google Search rules, followed by Pinterest, direct traffic, Facebook and of course the smaller search engines. But what gets my attention is how much traffic we receive from being featured in round ups. If you have not yet done so, I suggest you get yourself out there and on as many round ups as you can. Or think of round ups as SEO and that each one you are featured in is a backlink back to your site. I love SEO traffic and even though we have had five days of server outage we are still seeing new blog posts bringing in more traffic. I often used to get asked when I was an internet marketing coach how to increase traffic, well the number #1 way = more quality content = more SEO positions = more traffic. If you’re currently blogging once a week, then increase it to two. Then see the improved results that you will get! We are now at the end of the first quarter of 2018. We are planning our content right now through to December. Yes REALLY! We like to have a plan of action for the year and like to know what we are focusing on and WHEN. It never hurts to have a content calendar in place and to be thinking about what seasonal content you can do that can improve your site.